This week, we’d like to help an 8 year old girl from Guildford called Isabel. Isabel has Late Infantile Batten disease. Until she was 3, she was hitting all of her developmental milestones...there was no hint anything was wrong. 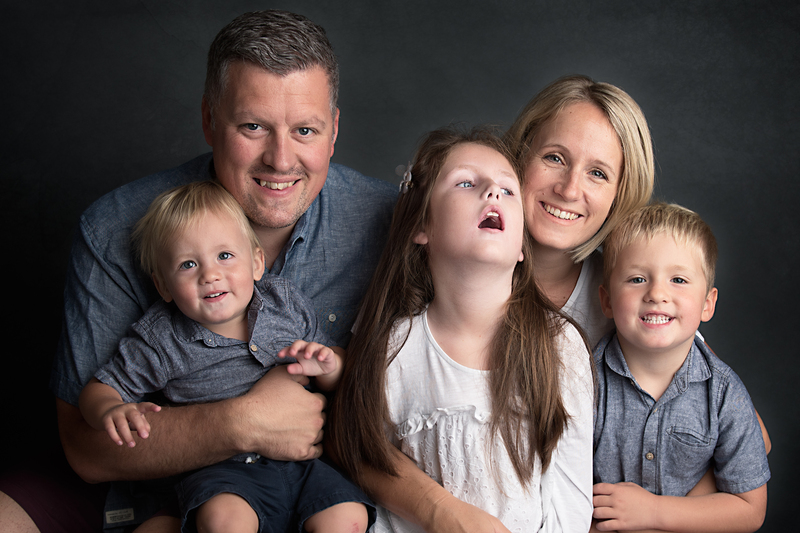 On Christmas Eve, a few days after her third birthday and just a few weeks before the arrival of her baby brother, the family were told that Isabel had epilepsy. Numerous tests were carried out and four months later they received a phone call delivering a different diagnosis. Isabel was diagnosed with Late Infantile Batten Disease. It is a degenerative brain disease, and a particularly cruel one. Skills are lost one by one and the symptoms develop rapidly. Children with battens are not expected to live into their teenage years. 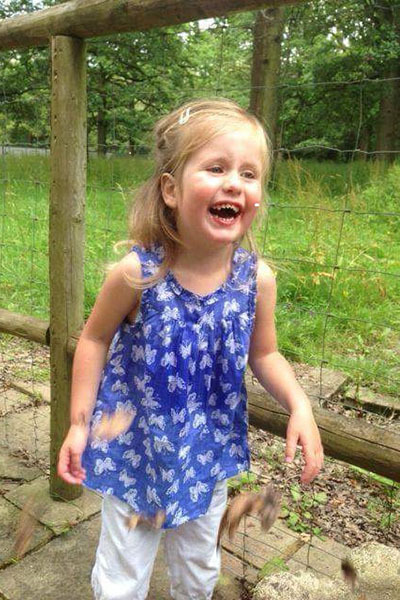 “You are told these things then looking at her you just can’t believe it,” Isabel’s dad, James, explained. Within a few months of her diagnosis, Isabel needed to be tube fed. Within a year, she lost the ability to walk and very quickly she began to lose all her language skills. Her seizures increased and just 2 years after her diagnosis, she lost her sight. Her health has deteriorated as a result of the loss of skills. In particular, Isabel suffers from frequent chest infections which leaves her extremely vulnerable. Isabel now spends most of her time in bed and needs 24 hour care. She has two younger brothers, Theo (5) and Noah (2). Theo was just 2 months old when Isabel was diagnosed and he had to be tested for the disease because it is genetic. Fortunately the test came back negative and Noah, now 2, is also not affected. Isabel was nominated by someone from her care team, who said a new bed would improve Isabel’s quality of life. At the moment, she sleeps in a bed which is too small and doesn't function appropriately to allow for chest physio. Also during the night Isabel needs to be turned manually by her parents, or carers. Each time, it wakes her up, which really depletes her energy and has a knock on effect on her health. 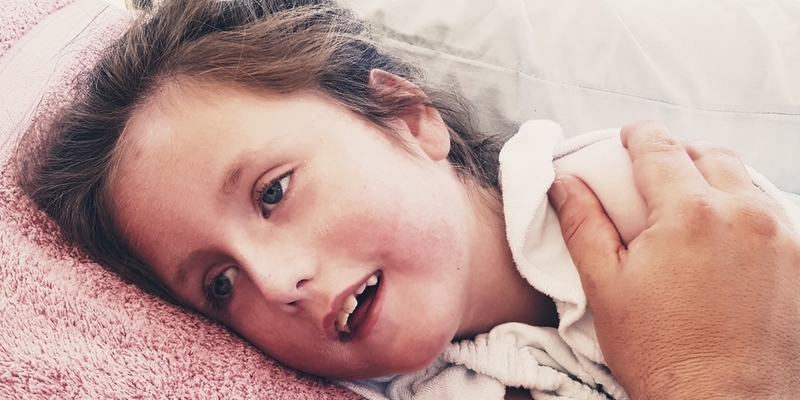 A new bed would allow for more space, better positioning and also, if big enough, allow her parents or brothers to climb in and offer Isabel the cuddles she loves. “Isabel spends the majority of her day in bed so ensuring she is comfortable is more important than anything else right now. It's difficult to get your head around sometimes. We rarely leave the house these days and Isabel rarely leaves her bed." "We’ve been on a bit of a journey with Isabel and learned so much from her. She is such an amazing, resilient little girl who has shown us how to live in the moment and be grateful for the small things. She has the most incredible smile, which she is sadly unable to use much now. But when she does, she lights up any room." "We’ve come to understand the importance of quality of life. We can't change the fact that she will live a short life, but we can make it as amazing as it can possibly be,” said Sophie. With your help, we would like to buy Isabel her new bed. 1. Donations: We are aiming to raise £1600 to help Isabel. This would ensure she can get the bed she needs, and any additional funds we raise will be used to help her in other ways. To make a donation, please click the link below. 100% of what you give will be used to help Isabel. 2. Messages: To send a kind message or card to Isabel and her family, please write your message in the form below (your contact details will not be passed on) or you can post messages to 52 Lives (Life # 196), PO Box 3154, Reading, RG1 9AT.